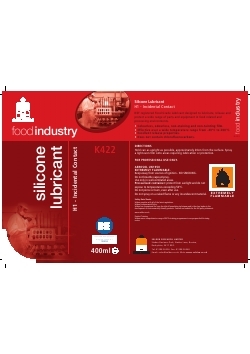 A NSF registered Food Grade Lubricant designed to lubricate, release and protect a wide range of parts and equipment in food related and processing environments. lubricate, release and protect a wide range of parts and equipment in food related and processing environments. Hold can as upright as possible, approximately 20cm from the surface. Spray a light even film onto areas requiring lubrication or protection.